Contact the Empowered Entrepreneur and Uplevel your Business! Five Brain Hacks You Can Start Using NOW To Boost Productivity! Do you struggle to be productive at work? Is it hard for you to focus? Do you get overwhelmed and then can’t “get into the zone”? Do you get bogged down on administrative tasks and then run out of mental energy to work on the business? Yes? 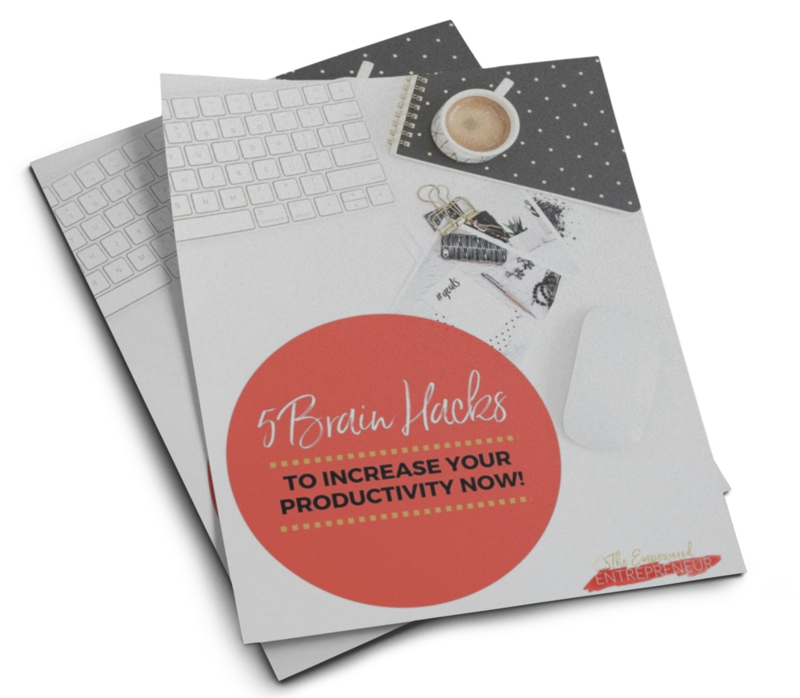 Then download these free brain hacks that help entrepreneurs to increase their productivity! Be the first to know about the latest news and all of our programs. Fill out the form below to get your free copy! Your brain and bottom line will thank you!